There are parts of a brand that are easier to control than others. Your visual identity is one of them. Take a moment and perform what we call a “Table Test.” Gather examples of graphics your company uses: business cards, letterhead, advertisements, etc. Now spread them out on a table and take a good look at everything. Is the color usage consistent? Is the graphic usage consistent? Are the fonts consistent? Is the imagery consistent? Do they all have the same feel? If not, keep reading. Creating a consistent visual identity is one of the simplest ways to promote brand recognition and start building customer loyalty. This post is written with the assumption that your company already has a logo in use. (We’ll save the logo discussion for another post, since logos are a topic by themselves.) The following suggestions will help you get one step closer to a consistent visual identity. • Know your color palette. Select colors using Pantone color books. Pantone color values are universal, so your colors should print consistently even if you use different printers. Keep a list that has the Pantone name and CMYK, RBG and HEX values for each color. • Have your logo available in multiple file formats. Make sure to have your logo available in both vector and raster formats as well as color and black and white. A vector file can be scaled to any size without loss of quality. Common vector file extensions include: eps, ai, or svg. A raster file is built of pixels and will decrease in quality when scaled. Common raster file extensions include: jpeg/jpg, psd, tiff, png, bmp, and gif. • Limit the number of fonts. Every time another font is used, a new feel is introduced. Limit the number of fonts you use to three at the most. This will create consistency, order, and look more professional. • Create a simple style guide. The key word here is simple. The more complicated the style guide, the harder it is to get the majority of people to adhere it, much less understand it. Include your logo with basic proper usage guidelines (ex. don’t stretch the logo, don’t change the colors), your color palette with values for each color, and acceptable fonts to use and when to use them (body copy, headline, etc.). Once you have a style guide in place, implement it to create consistency throughout the rest of your brand on everything from your online presence to your signage. • Educate everyone in your organization about your style guidelines. Take some time to go through your style guide with everyone in the company and with any vendors you use. Make it easier by having logo files readily available and by building basic templates for company use. 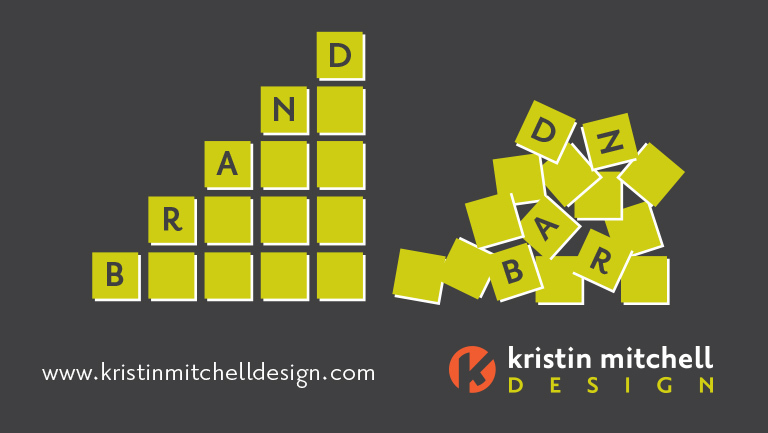 Finally, the most important piece of advice we can give you about your visual identity in regard to branding: Once you build your brand DON’T BREAK IT. One of the most disheartening things to see as a designer is a company breaking their brand. 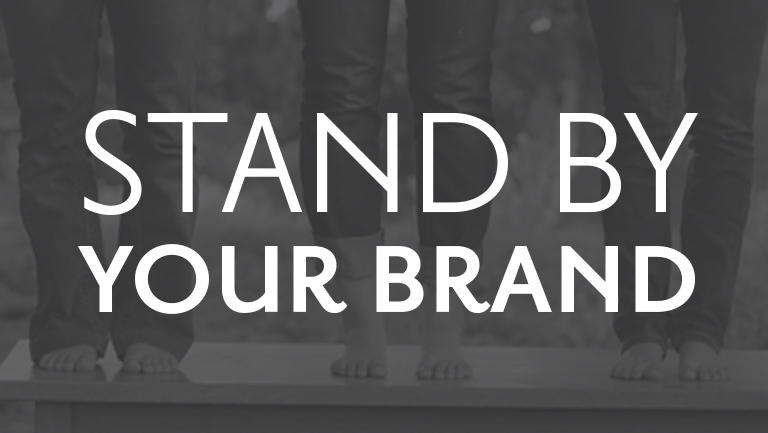 It is important to note that brands are constantly evolving, but they must evolve with purpose. A company has control over their visual identity and should use that to their advantage to help them build their brand.